Silvia and Frank have forwarded links to some research and news items that are relevant to our concerns at asknod. The newest generation of jet guns are “safe” however medical practices should not embrace them according to WHO. US medical device manufacturers are politically powerful and will market them anyway. The citations in this paper are particularly valuable. This is very important issue that we need to follow. Sec. Shulkin’s position on this has been misunderstood, according to Military Times. (LINK). “Veterans Affairs Secretary Dr. David Shulkin said Monday he’s decided to expand the list of “presumptive” ailments for Agent Orange compensation subject to approval by the Trump administration…. Dr. Sulkin’s remarks can be seen on C-SPAN at 53:38. The science is clear. Hopefully Pres. Trump will sign this soon so that bladder cancer, PD-like tremors, and other debilitating diseases can be added to the AO list. 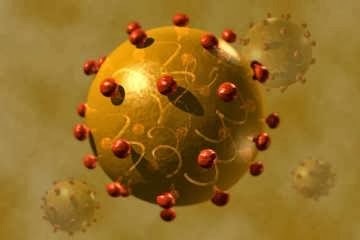 Topic: How immune systems are influenced by gut bacteria, the microbiome, and how this growing body of knowledge may in turn influence cancer treatments. Blood pressure of 130 is the new ‘high,’ according to first update of guidelines in 14 years (LINK). Alarming. We have a digital BP monitor. We’ve slacked off using it lately but need to make the effort given the new information. If enrolled vets with high blood pressure need a monitor, ask if your PC can order one for you as part of your VA treatment plan. Using one at home could save your life. Topic: Controversy about rich ill foreigners getting organs because they can pay more (fewer than 1%). On the other hand, rich American hospital donors and VIPs can probably go up the transplant lists as well. And Americans also go abroad for transplants. Is this a “nothing-burger?” The cost is real. Thank you Silvia and Frank for bringing to our attention information from the crowded world of news and research. 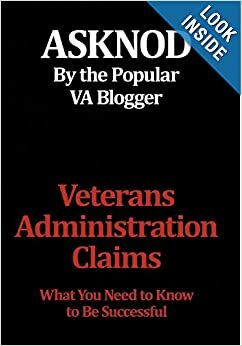 This entry was posted in Agent Orange, All about Veterans, AO, Food for thought, General Messages, Guest authors, Jetgun Claims evidence, Medical News, vA news, VA Secretaries, Vietnam Disease Issues and tagged Agent Orange, asknod.org, research, Veterans Benefits. Bookmark the permalink. They would rather see a vet die than spend an extra dime in compensation. The VA feels it would set a bad example for other undeserving vets who just want to be taken care of after they took care of their country if they made getting SC too easy. Twelve years…those stinkers. How can they give 0% for cancer unless they are sure you are in remission?